Support staff: A.J. 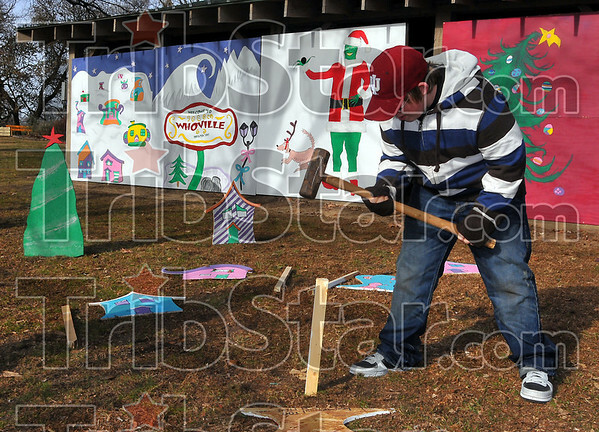 Maners pounds in a stake that will support part of the decorations being placed at the Terre Haute South Vigo High School Christmas display at Deming Park. The effort is part of Terre Haute First National Bank's annual Christmas in the Park celebration.